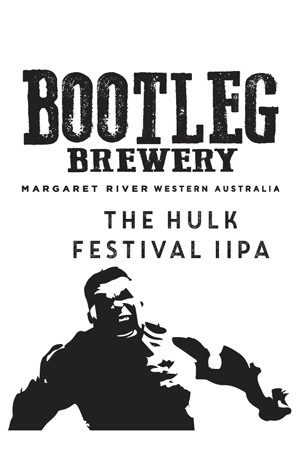 Bootleg got together with the team from Buzz Media to create a beer for the 2019 South West Craft Beer Festival. In agreeing on a style, they decided a session double IPA was flavour of the month, with the Margaret River region's brewer drawing up a recipe in which a light malt body would let the hops shine, while the alcohol content would be kept at a “manageable” festival level. If you're wondering what that means in beer festival terms, they went with 7.2 percent ABV. The result is a clean beer with resin and pine to the fore. There's a good dose of citrus in there too, thanks to the use of Citra, Simcoe, Amarillo and Azacca and a heavy dry-hop. Completing the picture is a grapefruit bitterness and dry finish that keeps you coming back for more.